Keep your Facility Clean and Safe with Microfiber Towel and Mop Service from Bay Towel. Lower your cleaning costs with Bay Towel microfiber towel and mop service. Microfiber towels and mops are environmentally friendly, effectively cleaning with less water and chemicals. 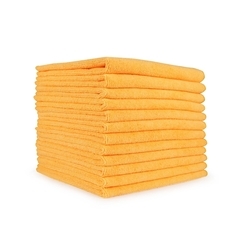 The Bay Towel microfiber towel program is available in an assortment of colors to help prevent cross contamination. Contact a Bay Towel sales professional today for a microfiber service quote! Click here to request more infromation.